Thoughtful narratives from author Page Lambert about writing and art for those who desire a more creative connection with the natural world. Connecting People with Nature. Connecting Writers with Words. 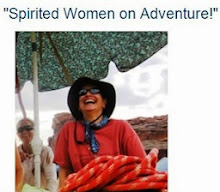 PLACE was the topic that brought Julene Bair, Susan Tweit (Walking Nature Home: A Life’s Journey), Dawn Wink (Meadowlark: A Novel), and me, together for a "standing room only" panel at the recent Women Writing the West conference in Golden, Colorado. 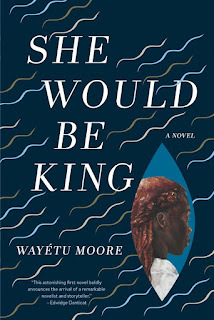 Each of us talked about the power of a particular place in our writing. I could almost feel the sand sifting through my own fingers as I read The Ogallala Road: A Memoir ofLove and Reckoning, my sense of Julene’s “place” moving from the larger Kansas prairie to the intimacy of the creek bed. Susan Tweit, a gifted and scientifically trained observer of plants, ironically turned to the stars in her first memoir, Walking Nature Home, to get her earthly bearings. “Like stardust and the other materials of life itself, we are in constant motion, changing shape as we pass through our lives…” In her new memoir Bless the Birds (the story of her husband’s terminal brain cancer), we move through many landscapes—from the high plains of Wyoming, to the Sangre de Cristo Mountains of Colorado, to the sterile halls of Denver’s hospitals. Yet it is in the moments when Susan turns to the words in her husband’s journal after he has died, where I feel the deepest connection to Place—not a geographical location, but a place found only in the heart—the place where Susan’s world of the living crosses through that invisible veil and she finds herself again rooted to memory and emotion. Widows Pause For Breath; They Piled On Top Of Each Other; Two Old Women Are Buried; and She Carries Her Brother On Her Back. These are not only geographical locations, but entire narratives rising up from the landscape, moving easily between the centuries. 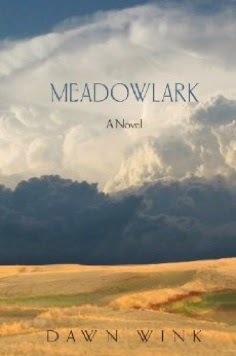 For Dawn, the story of Meadowlark rose up from the very ranchland where Dawn’s own mother spent summers as a child. And it was this same ranchland that yielded the answers to Dawn’s questions. “I walked the land and listened,” Dawn tells us. When I first moved to Santa Fe, before moving back to Colorado, I forgot to listen to the land—forgot that, just because I did not yet understand the language of the New Mexico desert, did not mean that the land was mute. Then one day I saw the tracks of two coyotes circling a desert shrub, and saw frantic rabbit tracks and tufts of fur and blood. The land was telling me a story, and I began to listen. That place became The place where the rabbit died. For each of us, and with each new story, Place will be different. 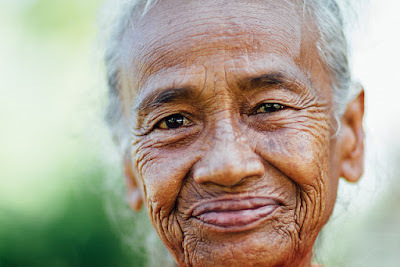 At its heart will be everything that has ever been born, lived in, or died in that place, everything in the past, everything in the present, all energy— every sound, smell, ray of sun, every shadow, every sorrow, every joy. 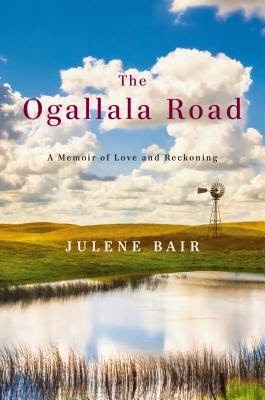 Notes: The Denver Post book review of Julene Bair’s memoir The Ogallala Road: A Memoir of Love and Reckoning begins like this: “To write a sweeping story, it helps to have lived many lives within the one allotted to you. And to skillfully root them in a particular place.” For updates on Susan Tweit's next memoir Bless the Beasts, read her blog. For the latest in Dawn's writing life, read her blog Dewdrops. An advisor for the Rocky Mountain Land Library and member of the International League of Conservation Writers, Page Lambert has been writing about the western landscape and leading nature retreats in the West for twenty years. Founding member of Women Writing the West, member of Wyoming Writers and Colorado Authors’ League, Lambert’s writing can be found inside monumental sculptures at the Denver Art Museum, online at Huffington Post, and inside the pages of dozens of anthologies. Page designs and teaches graduate writing courses for the University of Denver’s University College. Recent published works include “Not for Sale” (Langscape Magazine and “The Rural West,” included in Fulcrum’s new book, The Light Shines from the West. Forthcoming are 3 poems in DoveTails: Writing for Peace. 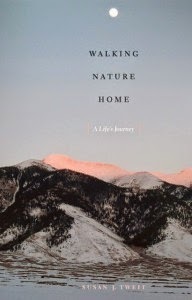 Page writes All Things Literary/All Things Natural from her mountain home west of Denver. It was wonderful to find a link to this page on Stephanie West Allen's PCPC_Writers AT yahoogroups DOT com. She tells me how, once he understands, the whole world breaks open, ear to ear. I imagine his smile. I imagine the toothless mother, smiling and bowing. A blog for those who desire a more creative relationship with the natural world. WINNER 2013 COLORADO AUTHORS' LEAGUE BLOG OF THE YEAR AWARD! Over 188,000 pageviews. Thank you! Retreat to the River with Page and Native Artist Roxanne Swentzell! 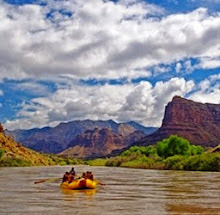 Click the photo for details on the 2019 River Writing & Sculpting Trip! Mount Vernon Canyon Club, Golden, CO. Click photo for current seminar. Horses. Peru. Rivers. A slideshow celebration! Photographer/Producer Kathleen Jo Ryan. 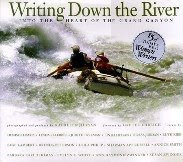 Includes Page's essay "Faces of the Canyon"